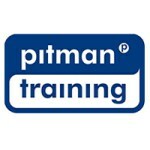 Find Windows courses and part-time evening classes in Cork on Nightcourses.com, Ireland's largest online database of Windows courses and training. Nightcourses.com is Ireland's largest course finder for Windows Classes and Clubs courses and evening classes. We've displayed the results of your search in Cork below.